For the lover of fruits, veggies, and a healthy life style. 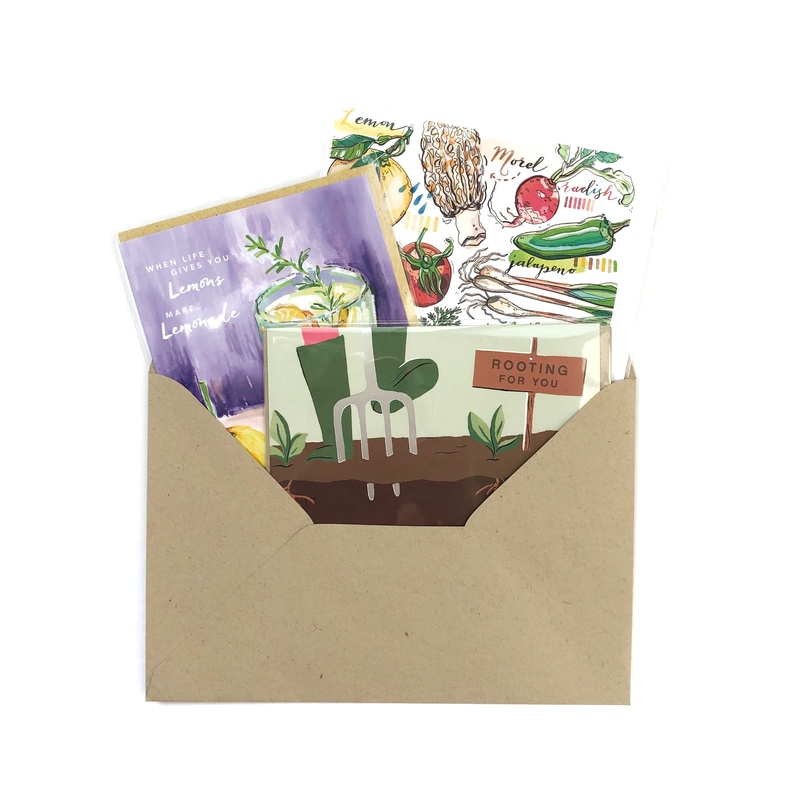 Our Fruits & Roots collection include 3 illustrated cards worthy of framing, sending and eating. Ha. Includes First Class shipping within the US.